6.9" x 7.9" stitched on 14 count. 5.4" x 6.1" stitched on 18 count. 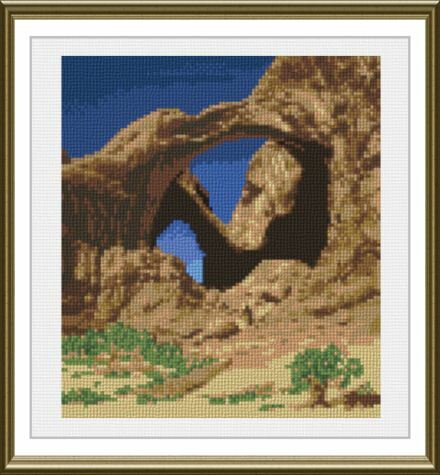 Double Arches cross stitch pattern... Arches National Park, Utah. This design uses only full cross-stitches.